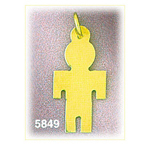 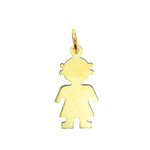 Look no further, this marvelous 14K Gold Engraveable Boy Plate Charm, makes an admirable baby shower gift. 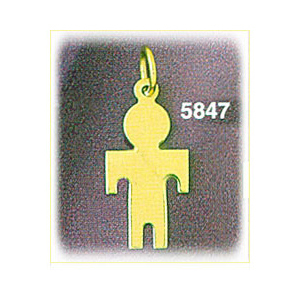 Stunning 14k gold is fashioned into the shape of a little boy and finished with a remarkable polish perfect for adding a personalized engraving. 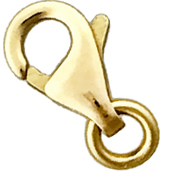 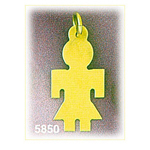 Charm is crafted in 14k yellow gold featuring a polished finish with flat back, it measures approximately (10mm - 3/8") in width by (18mm - 3/4") in height and weighs 1.5 grams, it is a good size for charm bracelet or on a necklace.